The National Authority for Management and Regulation in Communications (ANCOM) launches for public consultation a draft decision regarding the general authorisation regime for electronic communications networks and services. ANCOM deems necessary to review, strengthen and update the general authorisation regime so as to reflect the amendments and completions of the regulatory framework in the field, as well as the technology and market developments occurred in the recent years. The general authorisation regime is the legal regime, adopted by the regulatory authority, which establishes the rights and obligations of the providers of electronic communications networks and/or services. For the purposes of ANCOM’s officially recording the providers, those persons who intend to provide electronic communications networks and services have the obligation to send the Authority a notification regarding this intention, at the latest on the day of starting operation. A person who submitted the notification will be considered a provider for the types of electronic communications networks or services indicated therein, having all the specific rights and obligations provided in the General Authorisation, from the date specified in the notification standard form as the estimated date of starting the provision of the respective types of networks or services, but not sooner than the notification date. So far, ANCOM’s official record registers 2,031 providers of electronic communications networks and/or services. The draft decision launched for consultation today is mainly aimed at clarifying and updating issues such as: the Notification standard form and the Description file for networks and services, the procedure of suspending the right to provide all of or certain categories of electronic communications networks or services, respectively of cessation of the right to provide electronic communications networks and services. By amending the Notification standard form and the Description file for networks and services, ANCOM will benefit from updated information, with a higher level of accuracy as regards the providers, whereas the latter’s task will simplify. ANCOM proposes that the requester now structures the envisaged electronic communications networks and services in the notification standard form and details them in the Description file, which appears much simplified. The providers of electronic communications networks and/or services will have the obligation to update the data and information under the notification by 31 December 2010. Taking into account the legislative changes in areas related to the ANCOM activity which concern especially the manner in which commercial activities are carried out in Romania and the authorisation and registration of natural persons, individual enterprises and family associations, the draft decision launched for consultation adjusted the general authorisation procedure applicable to these categories of persons, thus amending the types of documents which must be submitted in order to acquire the capacity as a provider of electronic communications networks and services. Furthermore, it established the categories of persons who do not need to submit a notification. As a consequence of the practical difficulties ANCOM faced in obtaining the information necessary to establish the exact date of cessation of the right to provide electronic communications networks and services, the Authority intends to regulate, through this draft decision, new cases of cessation of the capacity as a provider, respectively: the provider’s bankruptcy, dissolution or cessation, in any other way, of its existence, as well as the repeated cases when ANCOM could not send the due documents to the address indicated by the provider in the notification. The draft decision is available for consultation on the ANCOM website, here. The interested persons are invited to send their comments and suggestions, by 12.03.2010, at the ANCOM headquarters in 2 Delea Noua Street, Bucharest 3, directly to the Registry or by means of the Authority’s regional divisions. Comments and recommendations may also be sent by fax to +40 732 845 404 or by e-mail to consultare@ancom.org.ro. The National Authority for Management and Regulation in Communications launches for public consultation a draft decision aimed at lowering the maximum level of the tariffs for porting telephone numbers currently charged between the telephone operators. According to the ANCOM regulations, the costs incurred during the porting process are incumbent on the acceptor provider, from which the donor provider can recover the costs for the technical, operational and administrative activities performed for each ported number. The porting tariffs charged on the acceptor provider, by the donor provider, are designed to cover these costs and should reflect the actual costs of the porting operations. The Authority set out the maximum levels of these tariffs in 2006. In 2009, ANCOM compared the porting tariffs with those charged in other European countries and reached the conclusion that the tariffs owed by the acceptor provider to the donor provider for a ported number need to be reviewed. Therefore, ANCOM proposes to reduce the applicable tariffs to the maximum level of EUR 7 for each ported number in the categories: geographic numbers, location-independent numbers and non-geographic numbers (other than for mobile telephony), down from the current maximum level of EUR 13. Moreover, the draft decision proposes a maximum level of EUR 5 (compared to the present EUR 11 level) for each ported number of the category non-geographic numbers for mobile telephone services. The proposed tariff review is based on an analysis conducted by the Authority, which compared the wholesale porting tariffs charged in other European countries. Number portability, a facility by which the telephony users can retain their telephone numbers when switching providers, was launched in Romania on 21 October 2008. In the first 14 months, more than 200,000 telephone numbers have been ported and, so far, the acceptor providers have born the entire porting cost, without charging the end-users. The draft decision is available for consultation on the ANCOM website, here. The persons are invited to send their comments and suggestions, by 22.02.2010, at the ANCOM headquarters in 2 Delea Noua Street, Bucharest 3, directly to the Registry or by means of the Authority’s regional divisions. Comments and recommendations may also be sent by fax to +40 732 845 404 or by e-mail to consultare-(at)-ancom.org.ro. The benchmark analysis undertaken by ANCOM in order to establish the average porting tariff at European level showed that, as regards the portability of geographic numbers, location-independent numbers and non-geographic numbers, other than those allotted for mobile telephone services, the average porting tariff varies between EUR 49.79 in Slovakia, EUR 7.53 in France, EUR 2 in the Netherlands and EUR 0.53 in UK. 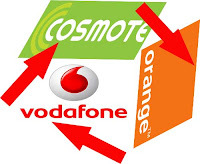 Regarding the tariffs charged for the non-geographic numbers allotted for mobile telephone services, these range from EUR 33.19 in Slovakia and EUR 5 in the Netherlands to EUR 0.91 in Turkey.